Chile produces consistently high-quality wine grapes, thanks to very reliable weather that rarely produces spring frosts or harvest rains. The sunny climate, tempered by the Pacific to the west and the Andes to the east, promotes sweet fruit and ripe tannins. Carménère, perhaps Chile’s signature red wine, exhibits vibrant flavors of green peppers, dark chocolate, and ripe berries. 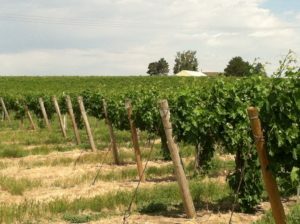 It produces terrific varietal wines, and is often blended with Cabernet Sauvignon or Merlot. While many of the other varieties of grapes and juice listed below are also available from California in the fall, the change of terroir can deliver distinctive character. The grapes are carefully packed into 18 pound lugs, loaded into refrigerated ocean containers, and then shipped up the West Coast of South America, through the Panama Canal and up to us here on the East Coast. We often to sell out of some varieties before the shipments arrive (May-June), so please reserve in advance to secure your order.